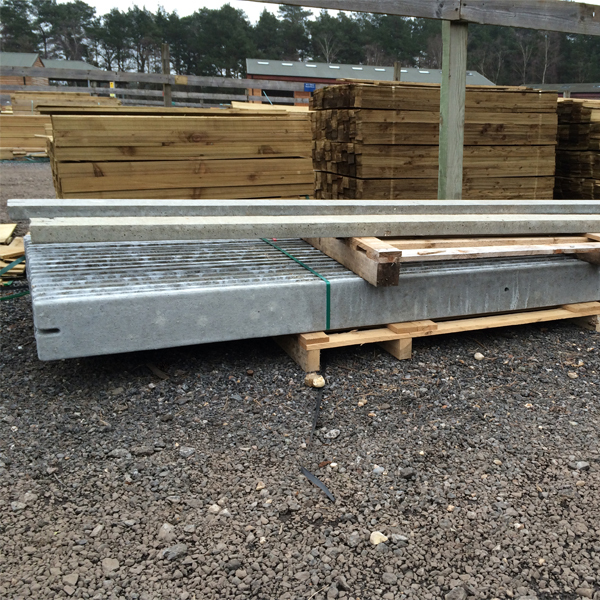 The smooth faced concrete gravel boards are normally used in conjunction with closeboard fencing on concrete morticed posts or concrete recessed posts. By using a concrete gravel board, it prevents rotting at the bottom of the fence. They are very straightforward to install, simply position between the two posts, attached a two pin metal cleat to either end of the gravel board using M10 80mm coach bolts and square plate washer, middle of the gravel board has one hole to screw to the centre stump using an M10 80mm coach screw and square plate washer.